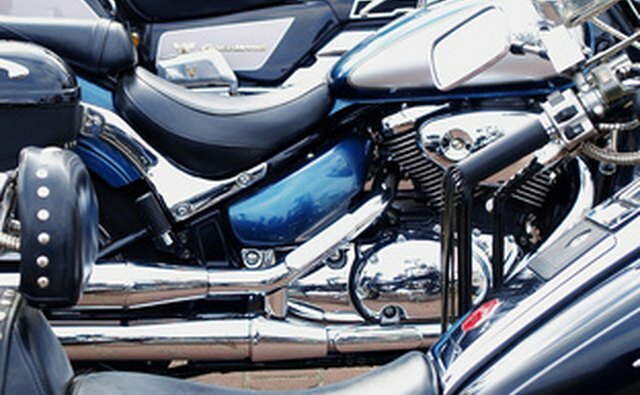 The Honda motorcycle division’s American Classic Edition (ACE), was introduced with a 750-cubic-centimeter engine in 1998. The 750 ACE so closely emulated Harley-Davidson’s three-note rumble that Harley actually sued for “trademark violation,” although the lawsuit was dismissed -- you can’t trademark a sound. The 750 ACE was different from other Shadow ACE models because it had a chain drive (1100 models had shafts) and a “two-into-one” exhaust (two exhausts feeding into one pipe). 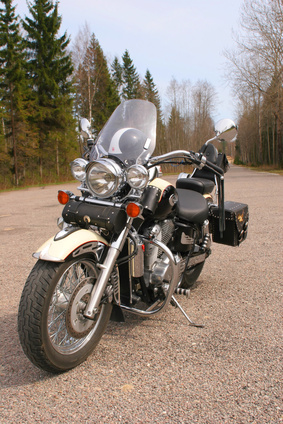 Although the 750 ACE was discontinued in 2003, thousands are still on the road. Thus, it is fairly easy to customize one to your individual taste. Clean or rejet the carburetor to add power. The stock engine lost 10 horsepower when Honda went to the single-pin crank, so the 750 ACE may be underpowered for your taste. If you opt to re-jet, you must purchase a rejetting kit specifically for the Shadow 750’s carburetor. Modify the stock exhaust or change the engine timing. Decrease the gear ratio. 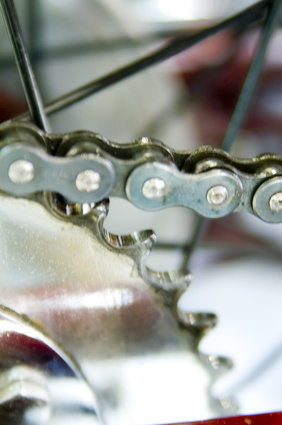 This will lessen engine vibration and provide a smoother ride by going to a smaller rear sprocket. 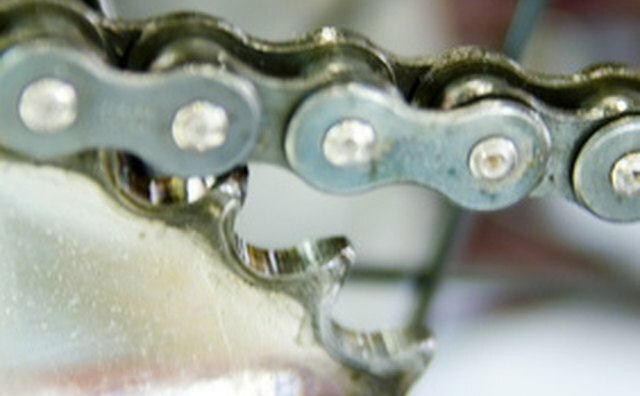 The stock rear sprocket has 41 teeth; you can go to 39 or even 37. Install a self-oiling mechanism. This will save the trouble of lubing the bike's chain every 300 miles. 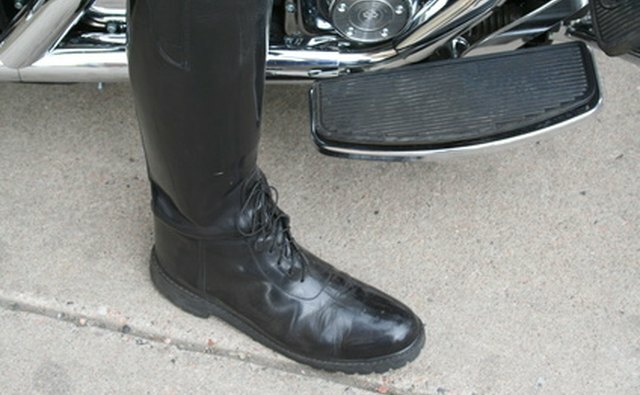 Adjust the motorcycle’s height. The stock 750 ACE seat height is 27.6 inches. You can make the bike closer to the ground by lowering the suspension, changing fork springs, or simply going to a thinner saddle. 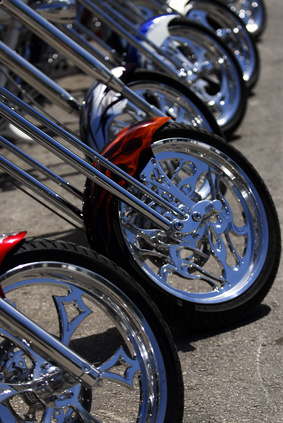 Taller, heavier riders or riders who frequently take a passenger may prefer a stiffer suspension. Modify the seating. You may upgrade to a custom seat, such as a Mustang or Corbin. These saddles are more comfortable for distance riding. However, since custom seats can cost hundreds of dollars, you may prefer to modify the stock seat yourself. Add a windshield, sissy bar, luggage rack and saddlebags. A sissy bar is a must for a distance rider, even if you don’t carry a passenger. The sissy bar provides a safe place to tie down a removable backpack. 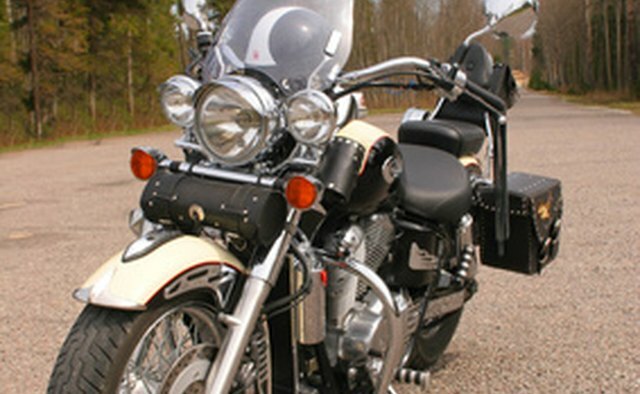 Leather or “hard” (plastic or metal) saddlebags are a more stable way to carry travel essentials. Windshields protect your face from flying debris such as pebbles and bugs. Add a set of “crash bars” to protect the engine and paint job in the event that the bike tips over. Add floorboards and highway pegs to allow increased leg room, or change the standard shift peg to a heel-and-toe assembly. Add a custom paint job. 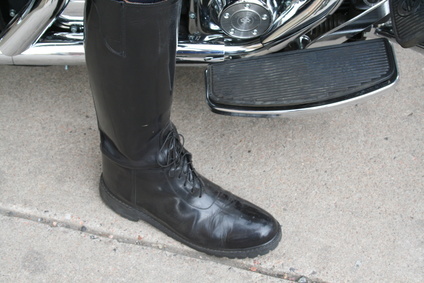 The stock 750 ACE was sold in black, although an extra $100 meant riders could take home a two-tone bike. For more individuality, a rider might try something as simple as adding transparent flame decals or as complex as getting a complete custom paint job with pearlized or candy colors and complicated airbrushed designs. Add chrome. 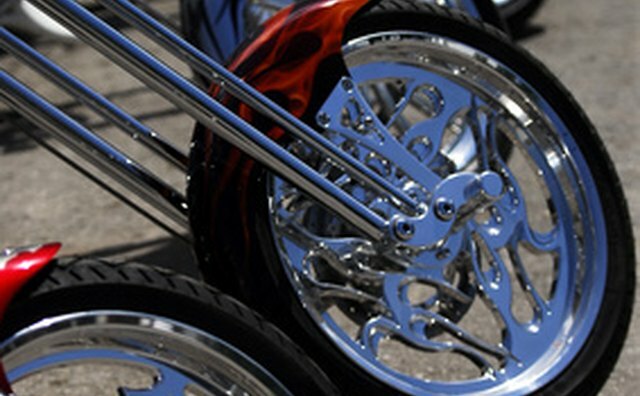 Crash bars will add a touch of chrome, as will the heel-and-toe shifter. You can go further, though. Chrome replacement parts, such as battery covers and master brake cylinder covers, are readily available. 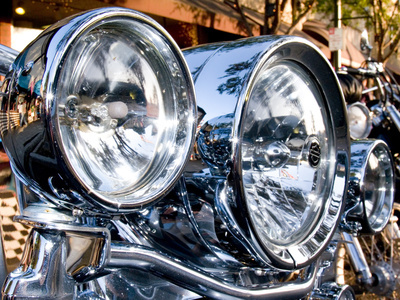 You can also add extra headlamps -- a practical change as well as cosmetic, since it enables you to see better and makes the bike more visible to drivers. Change the exhaust pipe. 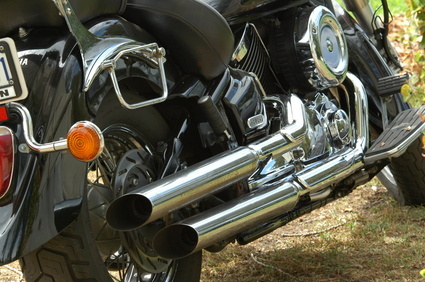 The ACE’s stock pipe produces a pleasant, but not very loud, exhaust note. For a more distinct sound, you may prefer to get custom pipes such as Vance & Hines, Cobra or Jardine. 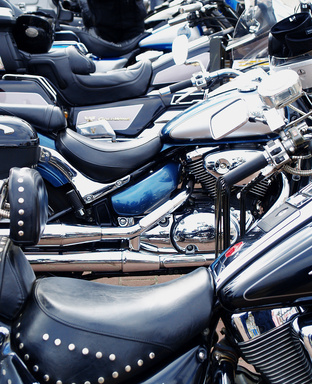 Unless you have mechanical experience with motorcycles and specialized tools and equipment designed for working on motorcycles, any change more complicated than changing a saddle should be done by a qualified motorcycle mechanic. Improperly performed modifications may result in engine failure or safety hazards. Some modifications may look good but could make your motorcycle dangerous to drive. Extending the front forks and changing their angle ("rake and trail") will make the bike less stable in curves and at low speeds. Increasing horsepower may decrease fuel efficiency.